Reinvigorating Our Commitment to History ~ The History Girl! What a year 2013 has been! I visited over forty locations throughout New Jersey, Rhode Island, and Pennsylvania. To commemorate this banner year, I have decided to take a moment to pause and reflect upon a few of the sites that stood out. With so many sites, it was hard to narrow it down to just a few. Every historic site is important and matters and this list does not diminish the importance and relevance of the ones that were not included. This year, we began a movement to reinvigorate our (collective) commitment to history through this web site and various social media outlets. I am proud to announce that this attempt has been successful, as new audiences have been reached and partnerships created. The new year marks New Jersey's 350th anniversary. As we head into 2014, our theme will be to "Spread The History." Now that you have spent a year exploring and renewing your commitment to New Jersey's history, spread the word to friends and neighbors, inviting them to reinvigorate their commitment in 2014. Together, we can preserve and reflect upon our strong ties to our historical and cultural past, inspiring the next generation to follow in our footsteps. When historians are faced with a task that seems unattainable, it only makes them work harder! This past year was the first year of what will most likely be a multi-year project in rehabilitating and restoring the abandoned Old Swack Church ruins and adjacent Swackhammer Cemetery in Lebanon Township, New Jersey. This long-forgotten site was abandoned around 1896. This year, a group of interested citizens from various backgrounds came together to prove to government officials that you must get your hands dirty if you want to get something done. Tom and I volunteered twice and saw first-hand the amount of work it takes to reclaim a cemetery from nature. Broken headstones have been repaired and there are still plenty of missing headstones to find, but this project proved how an unaffiliated group of people, some relatives of those buried, local residents, and others just interested in history, can come together and work collectively to achieve what others said could not be done. Hats off to the Swack Angels as they head into the new year! Old Swack Church and Swackhammer Cemetery slowly rise from the ruins, November 2013. This year marked the 150th anniversary of the Battle of Gettysburg. Gettysburg was a turning point in the Civil War, the Union victory that ended General Robert E. Lee's second and most ambitious invasion of the North. It is often referred to as the "High Water Mark of the Rebellion" and was the war's bloodiest battle with 51,000 casualties. It was also the inspiration for President Abraham Lincoln's immortal "Gettysburg Address". Visiting the battlefield was bittersweet - reflecting on the sacrifices made by soldiers on both sides and celebrating America's new-found freedom and rebirth. 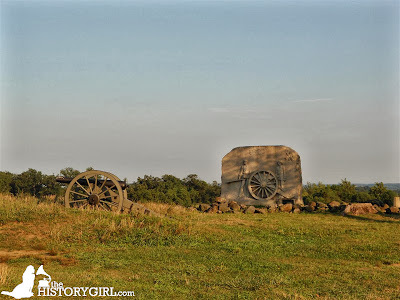 The Gettysburg Battlefield, a sacred ground. New Jersey is home to many innovators and firsts. Among one of the more obscure firsts that I uncovered this year was the origin of graham crackers. These treats were developed by Reverend Sylvester Graham of the Bound Brook Presbyterian Church in 1829. Graham was very interested in temperance and various health regimens. He developed the graham cracker to cure the dreaded fever of lust. The original cracker was conceived as a health food and contained graham flour and considerably less sweeteners than the cookie-cracker we know today. Next time you bite into one or make s'mores with your friends, you can inform them these first appeared in Bound Brook, New Jersey over 175 years ago! Reaching for the heavens at the 1896 Bound Brook Presbyterian Church. Railroading has a long and storied history in New Jersey. From the John Bull to New Jersey Transit, travelling via rails remains a vital way to connect passengers and goods across the state. If you are looking to step back in time and experience the "golden age" of railroad, a stop at the Whippany Railway Museum in Whippany, New Jersey is in order! Who knew so much history could be kept at such a small site? Multiple railcars, steam engines, and of course a number of iconic cabooses all grace the sidings around the facility. Multiple buildings and railroad artifacts complete the yard. For those with a lust to ride the rails, the site offers excursion trains on various weekends throughout the year. And if you are old enough to remember, there is a restored Blue Comet railcar - the ultimate in railroad luxury. All aboard! Next stop, the Whippany Railway Museum! Ever wonder where parks, shopping centers, and housing developments get their trees from? Between the 1930s and early 1990s, there was a good possibility that they came from Princeton Nurseries, which spanned South Brunswick, Plainsboro, West Windsor, and Franklin township. It was the largest commercial nursery in the United States. The site was owned by the Flemer family, which over three generations developed innovative horticultural practices and technologies still in use today. Throughout its history, almost sixty different varieties of shade trees were developed on the property, including the famed Princeton Elm. Many of the trees grown became standards by which other clones have come to be judged. In 1995, operations moved to Allentown, New Jersey. 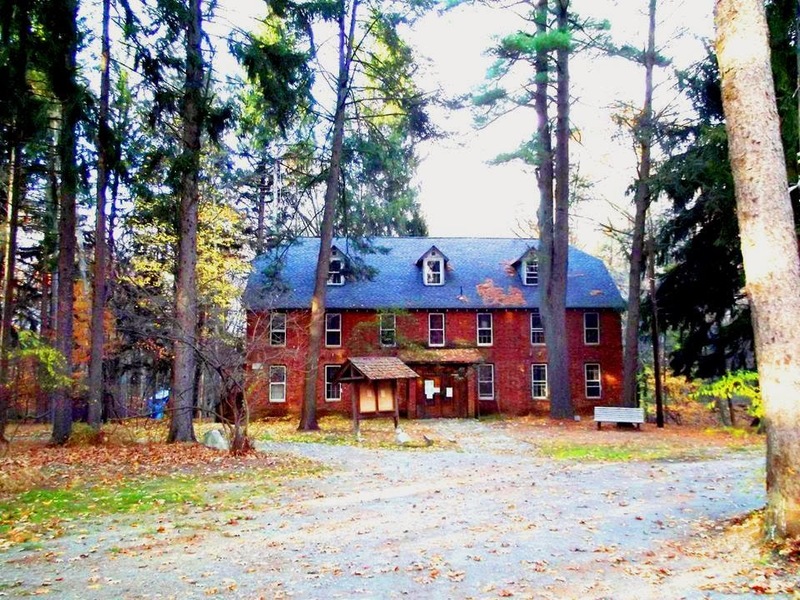 Ten years later, the core of the 1,200 acre property was acquired as open space and the site's deteriorating buildings idly await a future use. Propagation buildings await restoration at Princeton Nurseries, South Brunswick, NJ. We drive over bridges every day but few really take notice of the architecture and engineering behind the dozens of truss bridges in rural locations throughout Somerset and Mercer Counties. Some still handle vehicular traffic while others have been rehabilitated to serve as bridges for foot traffic. Bridges became a vital innovation for travelling over water, and the proliferation of truss bridges after the Civil War was no coincidence. As America became more mobile, a quick and affordable means of building bridges was sought. Today, they are a dying breed and advocates must work closely with the DOT and county and local governments to preserve and rehabilitate the remaining bridges for today's ever-increasing traffic needs before they are lost forever. This year, a new group of volunteers have taken the first steps to reclaim Woodland Cemetery in Newark, New Jersey from the grit of the city. After years of neglect, clean-ups have been scheduled for a site that is plagued with thousands of toppled tombstones, tall grass, litter, and large fallen branches. The iconic Gothic revival gatehouse, abandoned for over twenty years, will be assessed so that a plan to stabilize and eventually restore it can be formulated. This renewed commitment to the site, which contains over 80,000 burials, has formed partnerships with local schools and community organizations, allowing a new generation to discover the beauty of this thirty-six acre rural cemetery in a city of concrete and asphalt. For 150 years, the Vineland Historical Society in Vineland, New Jersey has been interpreting and preserving the history of the local community and region. New Jersey's oldest local historical society is housed in a modest two-story brick building filled with cases of artifacts, furniture, and ephemera. The early founders of Vineland, forward-thinking for establishing a society during the town's formative years, have left an enduring legacy for future generations to cherish and learn from. 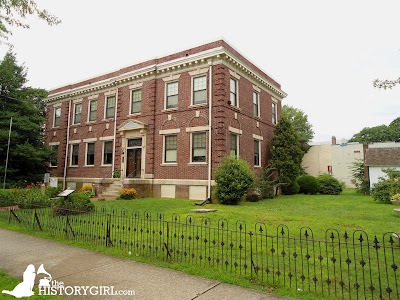 Filled with 150 years of history, the Vineland Historical Society, Vineland, New Jersey. Just a few miles south of Atlantic City, in Margate, New Jersey is the world's largest elephant! Built as a tourist attraction to sell lots of land, Lucy the Elephant has served as a real estate office, tavern, private cottage, and most notably, a roadside attraction over the past 130 years. In the late 1960s, the land on which she was built was sold and the structure faced demolition. By this time, Lucy was severely deteriorated and local residents came together to raise the funds to save and move Lucy to a town-owned lot. It took a great deal of determination and willpower to overcome obstacles and save Lucy. These early preservationists saw the potential and unique qualities of Lucy, which was bestowed National Historic Landmark status in 1976. Lucy the Elephant awaits you in Margate, New Jersey. Surrounded by fir trees, the Weis Ecology Center may become but a mere memory. 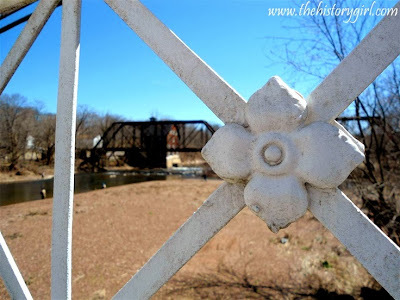 Visit NJ History - thehistorygirl.com's profile on Pinterest.